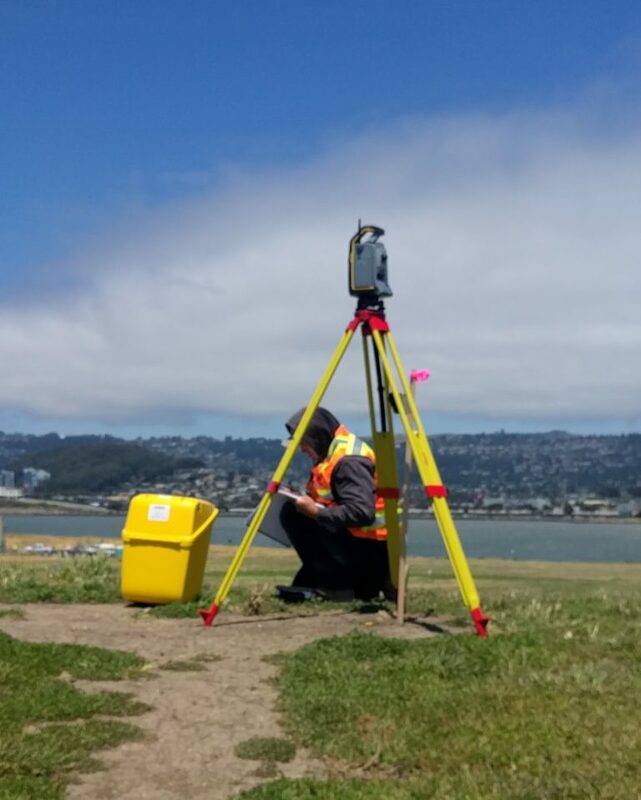 Ground control points are fixed features visible in Site Scan source images, with an accurate and precise known position. They are used to enhance the absolute accuracy of your Site Scan outputs. 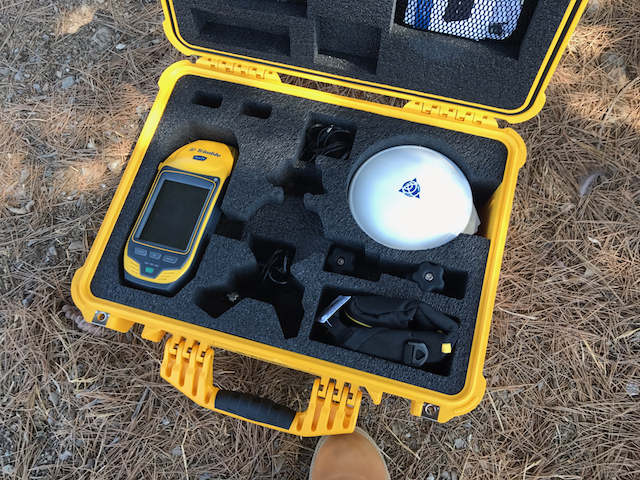 Without GCPs, Site Scan outputs are georeferenced solely using the drone’s GNSS receiver and inertial sensors. While the relative accuracy within the models is high, the absolute accuracy, or where the model is located on Earth, may be shifted 2-8 feet. Using GCPs, absolute accuracy can be brought down to a an inch. See accuracy white paper. 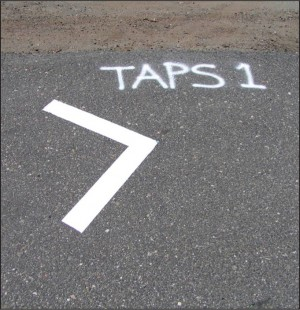 Easily identifiable features can be used (i.e. 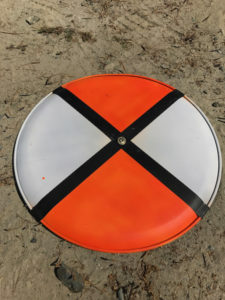 corner of the site trailer, center of manhole), or targets can either be laid or painted on the ground. A minimum of three points is required. 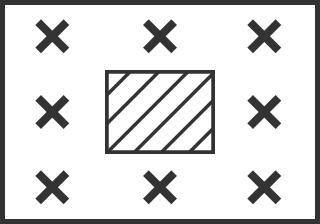 For optimal results, a minimum of five control points is recommended for a site of any size. 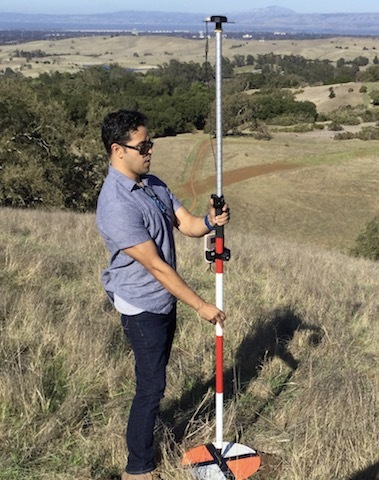 To maintain high accuracy throughout the processed outputs, it is recommend to use additional point for sites of a large size, oddly shaped, or sites with many elevation changes. For sites larger than 20 acres (8 hectares), it is recommend to add one GCP for each subsequent 15 acres (6 hectares). 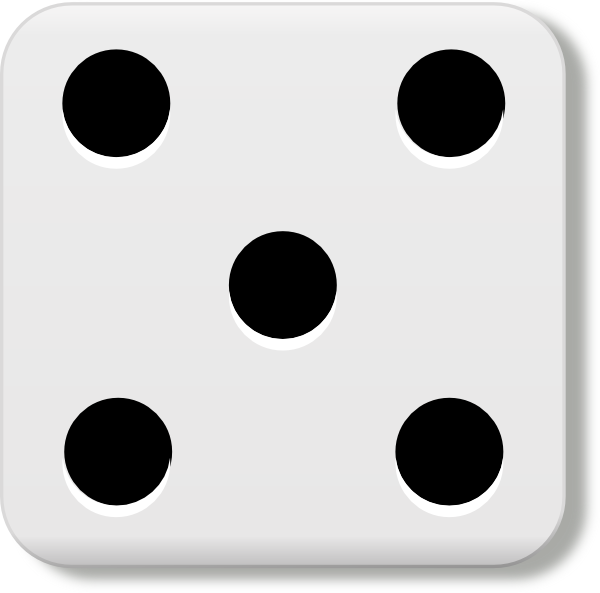 To set the first 5 points, visualize the 5 face of a dice. One point near each corner but not on the very edge of the mapped area, and one near the center. Distribute other points evenly between the first 5. 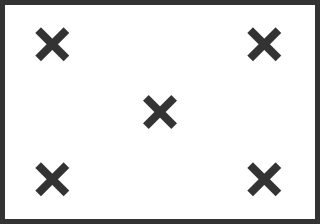 Active construction sites may have difficulty laying a control point near the center, it is acceptable to omit this point if unpractical, but it is recommended to add at least two additional points along the perimeter. Please reach out to your Site Scan Success Services engineer if you require any assistance with your GCP layout. 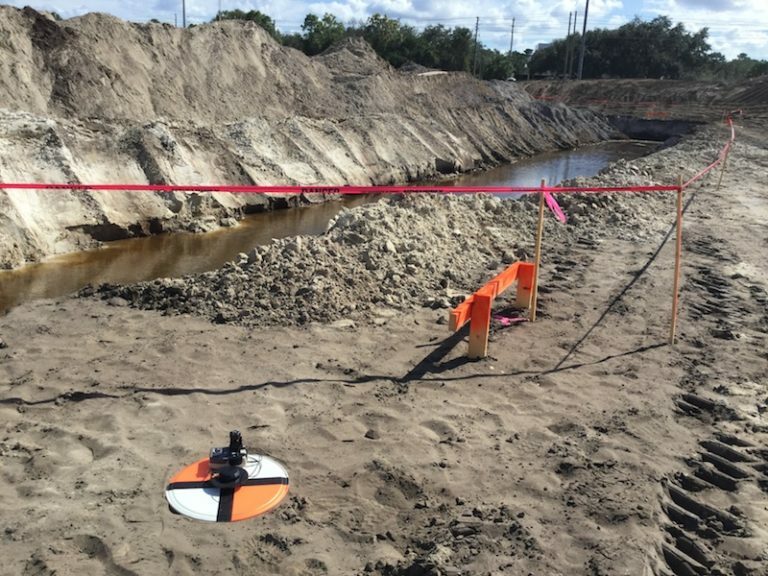 The location of the points be obtained by a surveyor or field engineer using conventional survey methods such as Total Stations and Survey grade GPS, or from other reliable geographical data sources. 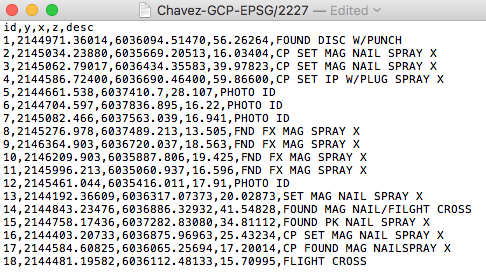 Site Scan GCP processed data can only be as accurate as the original GCP position. Ideally, under 1-2 cm. 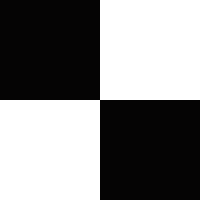 The coordinate reference system (CRS) in which the points are collected must be known, along with the unit used, or the EPSG code. 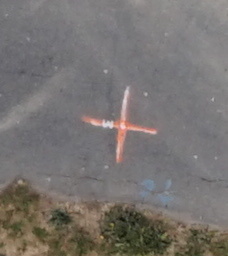 Surveyors will typically deliver a *.txt or *.csv file containing the CRS and unit or EPSG code, and X,Y,Z data for each point along with a description. Assign the same CRS to your Site Scan Manager Project.